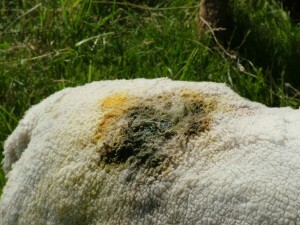 Noticed over the past few days the 3 y/o ewe does have a nasty patch on her back. We tried putting some bright yellow ointment a few days ago which went black. I have been told to wash with warm water, dry then apply Crovect. Organised everything I need to wash, dry and Crovect my ewe. On cleaning the area I noticed the skin was clean but there was no wool. Clean as much as I dare, dried thoroughly and then applied Crovect just to the area. Will keep an eye on this to see the progress. Matt is coming over so we have Heptivac all our sheep. I will continue with this blog when its been done! All the sheep have now had their Heptivac P+ injection. This will be done again in 4 weeks time. 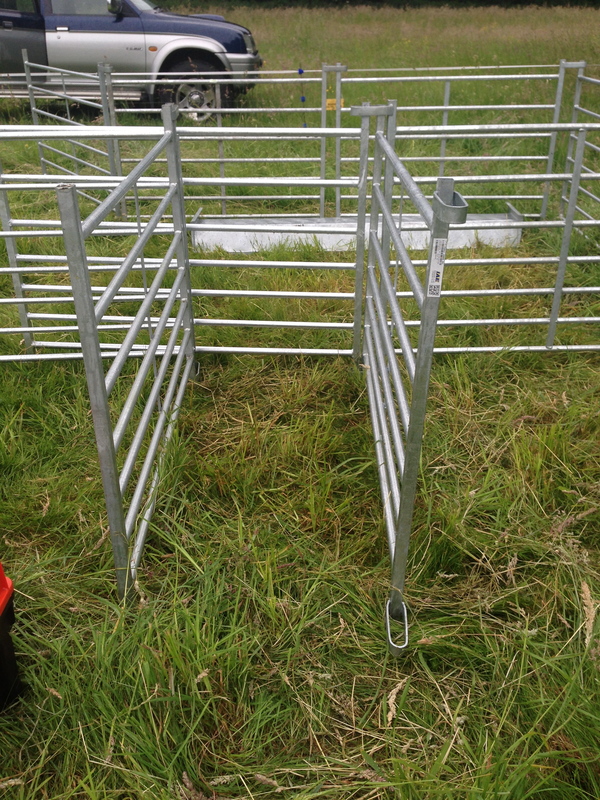 Before we injected the sheep, Matt designed a treatment pen and this proved very useful. It was not easy getting the needle through the wool and skin of the lambs but managed it. I have bought a bucket with hooks to hang on the hurdle, so I don’t have to put anything on the ground. A very good idea. Noticed an old scab area on the back of one of my sheep had the great attention of a load of flies. Will monitor until tomorrow when Matt turns up. So here starts what I think will be a very exciting journey into sheep husbandry. For those who may have just stumbled over my daily diaries, then please read more about me and my story on how I became a shepherdess. Please feel free to sign up to my site, leave comments and to provide suggestions; I am only a novice but determination and damn hard work will help me and my ‘sheeeps’!